Adult/Child Face Barrier Lung Bags by Aneva. 100-Count (10 10-packs). Includes an adhesive strip to ensure the face shield stays securely in place during training. The order was very prompt on delivery and worked effectively for the CPR class I teach. 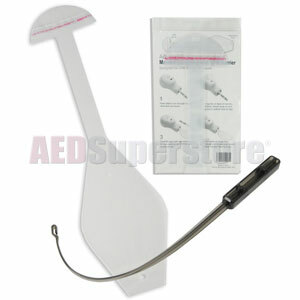 Getting CPR training supplies from AED SUPERSTORE was fast and easy, great price, too. We routinely use this brand of lung bags and they are just as good as the "name" brand, for much less. I recommend them highly. These lung bags were a good value. Work well with my mannequins. These are a great value. We save money where we can.